Sorry I haven't been writing much lately. 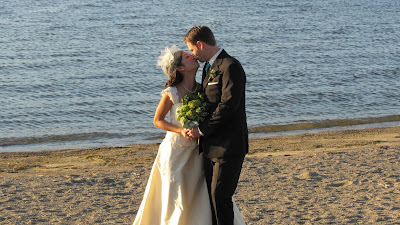 I've been busy getting married! 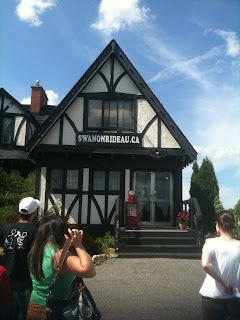 The next few weeks are going to be exciting for this blog. I'll be going to Vankleek Hill to celebrate Oktoberfest at Beau's Brewery, followed by a northern trip that has me seeing Edmonton, Yellowknife, and Nunavut, followed by our honeymoon trip to Thailand, Vietnam, and Cambodia. Stay tuned! After the wedding I'll be blogging a lot more, as we'll be going on some neat adventures...including Edmonton (my first time in the province of Alberta), Nunavut (yes, I'm going to the Arctic! 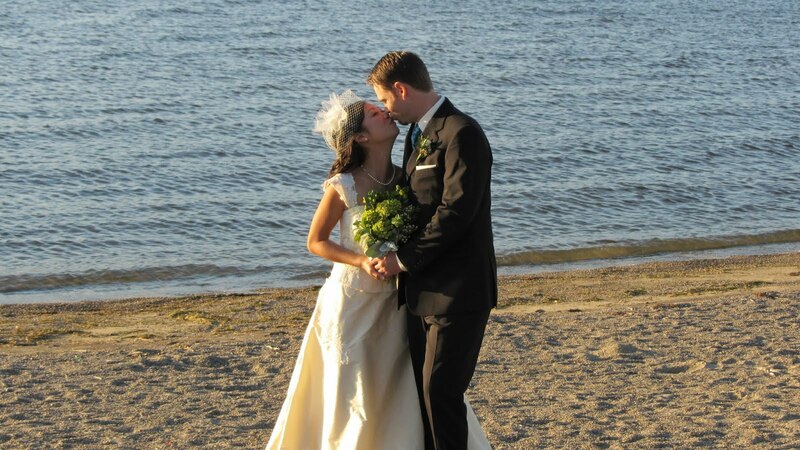 ), and of course our honeymoon in Thailand, Cambodia, and Vietnam. Stay tuned! 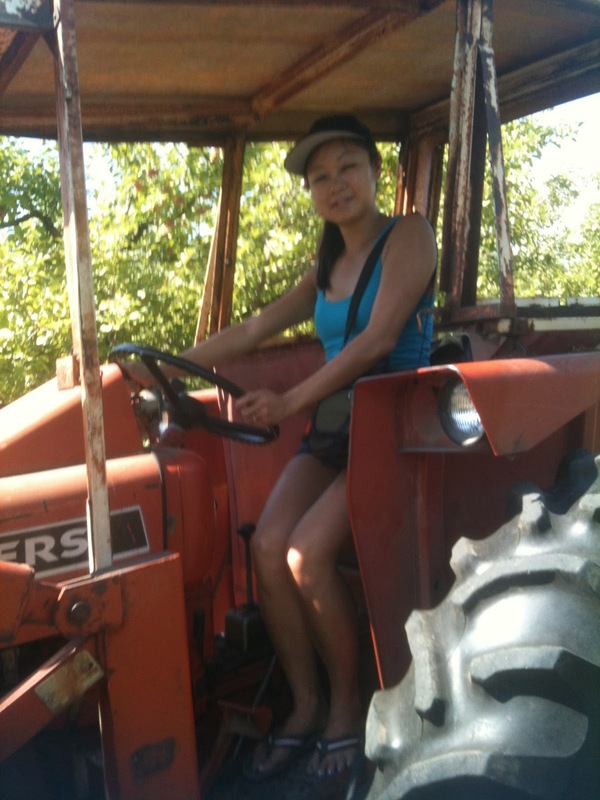 I had followed the directions to the Log Cabin Orchard exactly as I was instructed, but there I was, confronted with a tractor blocking my path. It was way the heck out in Osgoode, south of Manotick, past Kars, also known as the middle of nowhere, which, once again made me feel sorry for the kids at my high school who commuted all the way from out here every morning (my high school had a huge cachement area). There was the sign for the place we were supposed to go apple picking. There was the tractor parked in the middle of the dirt path. I sighed. I drive an SUV, an old Ford Explorer from the 90s that I've been driving since high school. I Ford Explored my way around the tractor, taking out maybe only half of the bush that was on the property next to the road. 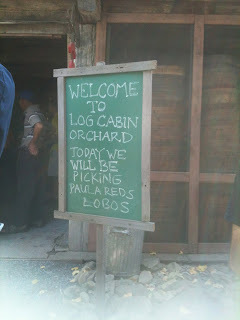 The owner of the Log Cabin Orchard came out to greet me. "You hear for some apple pickin'?" she said with a big friendly smile under her straw hat between her pigtails. What I sensed she wanted to say was You were supposed to take the other entrance, you dumb city slicker. 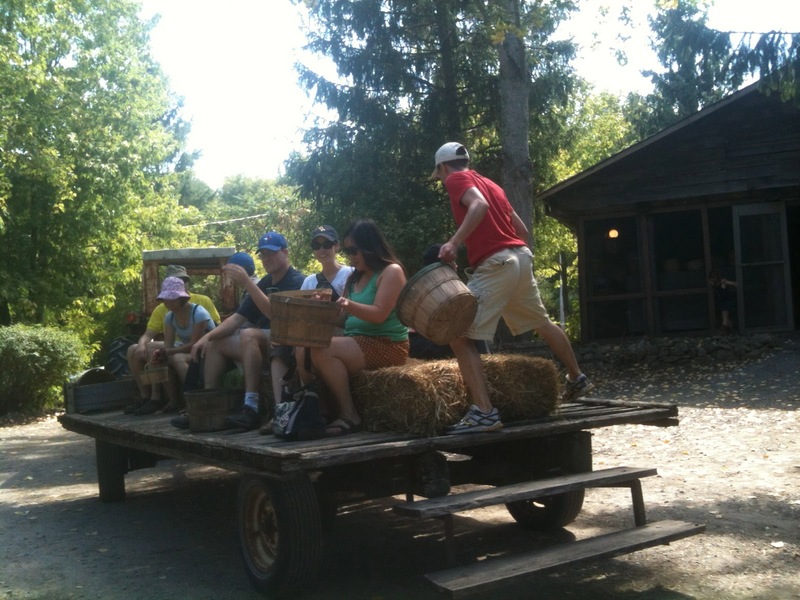 I sure was there for apple pickin'. I'm not sure why. I don't actually like apples, unless they come baked in a pie that somebody else baked. I do like the idea of getting my own food though, and since I missed my chance to hunt oryx in southern Africa, I figured apple pickin' in Osgoode was the next best thing. The next best thing. 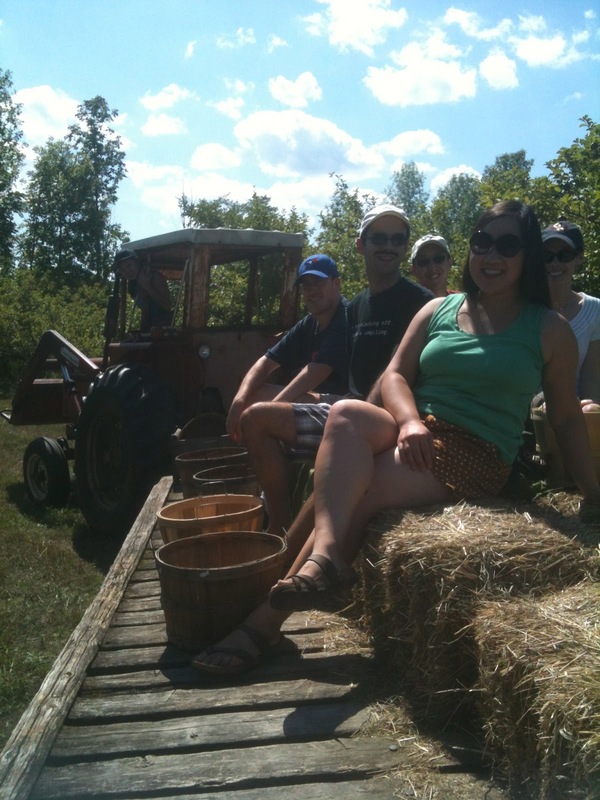 Everyone else at the orchard were Chinese families with small children, who were all excited to engage in the North American tradition of pickin' your own apples. We were driven out to the orchard on a wagon pulled by a tractor. 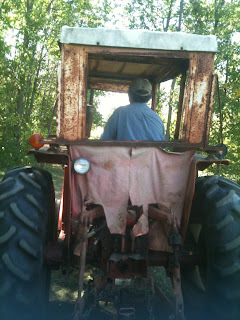 The same tractor, in fact, that had perplexed my normally excellent navigation skills. 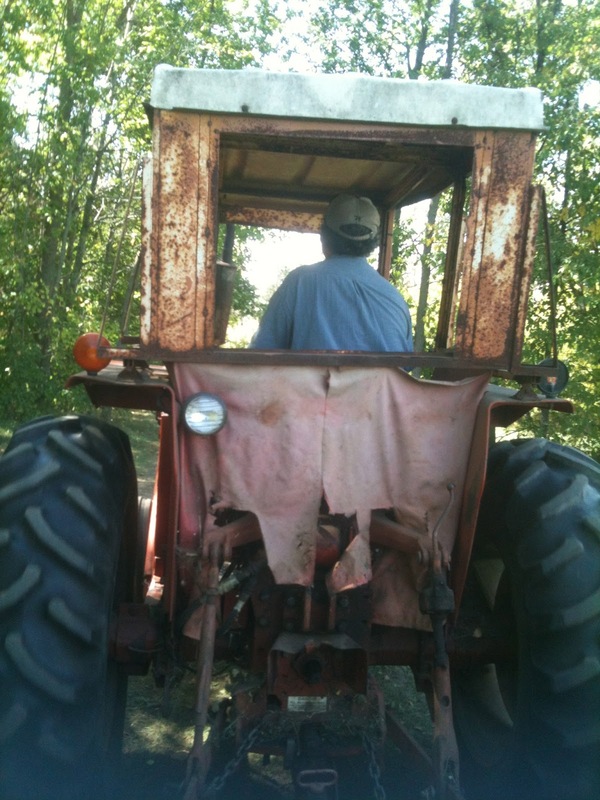 The driver was a friendly guy who let me sit up at the front and pretend to drive a tractor. 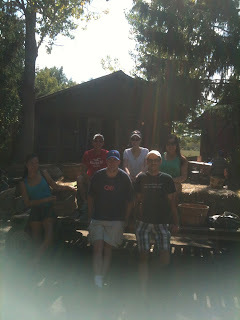 This was awesome, and the non-apple-picking highlight of my experience. I gripped the steering wheel under my fingers and for some reason, was hit with a flashback of the time I was racing through the woods in rural Newfoundland on the back of a snowmobile. Because it's almost the same thing. I contemplated carjacking the tractor. I decided in the moment that I wasn't trying to see no highway chase with jake so I put aside my fantasy of a high-speed tractor caper and jumped on the bandwagon - literally - with everyone else. this would be a way cooler form of public transit to work than OC Transpo. heck, i'd like to pull up to a night club in one of these things. The tractor dropped us off at the orchard and drove off. We hoped it would eventually come back. 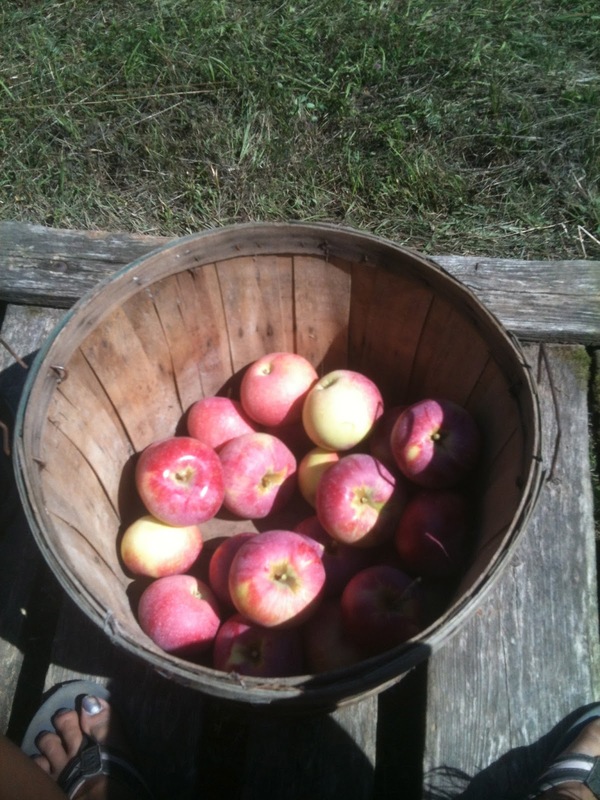 Now, time to pick apples! So, wait, how do we pick apples anyway? 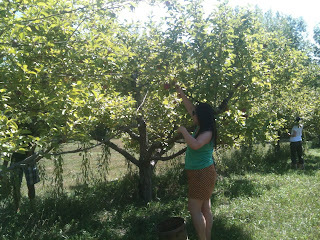 Apple trees aren't all that tall, but they were still taller than five foot me. 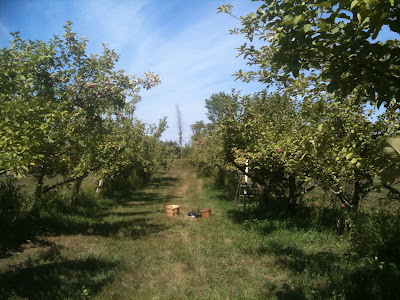 Luckily, the orchard had available several homemade ladders which Heather and I referred to as tort ladders, but only because we're lawyers. 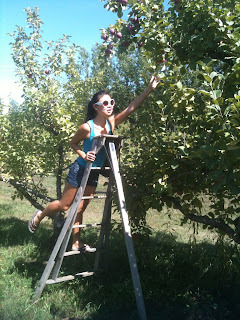 The ladders were actually quite sturdy and helpful. Eventually we picked as many apples as we desired. I picked, like, a quarter bushel or something. I'm not quite sure how much a bushel is. But I had apples! Apples to bring home to my mother, to my partner, to people who actually eat apples! 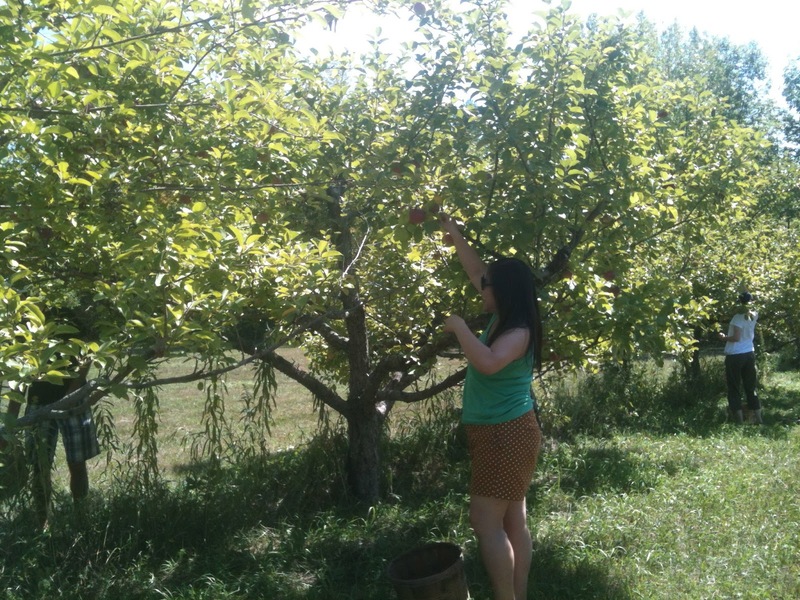 and now you have a fear of apple picking too. You know, in my life I have come across carcasses of mutilated, half-eaten zebras, and still I had no problems with eating zebra steaks later. But, for some reason, looking at apples full of wasps, which I'm sure is a perfectly normal thing, both terrifies and disgusts me and so I only eat apples if they come in pie or sauce form. 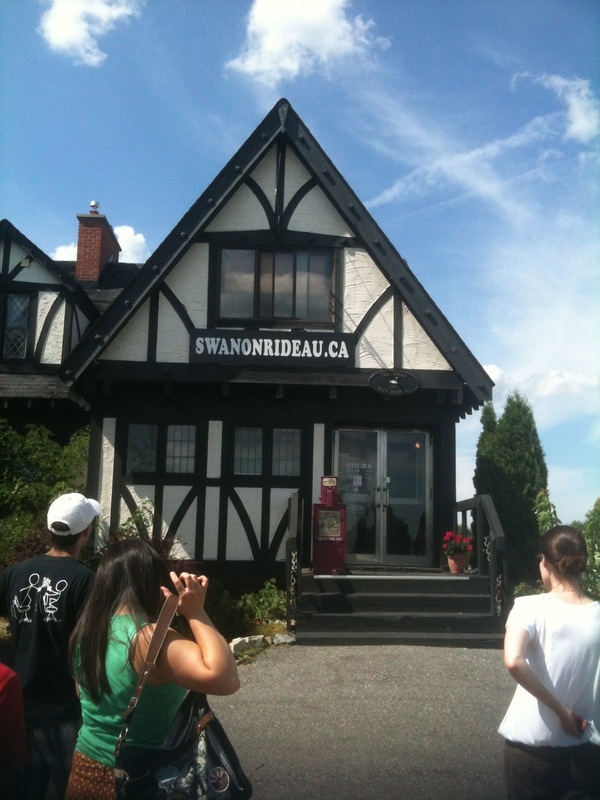 After a hard day's work of apple-picking (or at least an hour of it), we decided to reward ourselves with a cool drink at the Swan, the "neighbourhood" pub in nearby Manotick. As my luck would have it, as I drove out I got stuck behind another tractor, zooming down the highway at 15 kilometres an hour. Still made me want one of my own. Should have grabbed one while I had the chance.